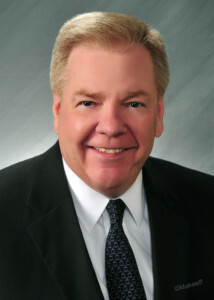 Home/Sullivan & Ward Spotlight/Former Justice Michael Streit Joins the Firm of Sullivan & Ward, P.C. Sullivan & Ward, P.C. is pleased to announce that the Honorable Michael J. Streit has joined the firm, after serving for over 27 years on the bench in Iowa District Court, the Iowa Court of Appeals and the Iowa Supreme Court. Former Justice Streit will dedicate his full time practice to mediation, arbitration, litigation, ethics, contracts, fair courts, and judicial independence. He received the John F. Kennedy Profiles in Courage Award for his role in the Iowa Supreme Court decision recognizing marriage equality. Join us in welcoming Former Justice Streit to the firm. Former Justice Streit, as a member of the Blackstone Inn of Court, served for two months in the British courts in London, Oxford and Birmingham. As part of the experience he sat both on the bench with judges and with the barristers in court. “I don’t look good in the traditional British wig,” commented Former Justice Streit. He has met with and taught groups of lawyers and judges from Bosnia, Moldova, Russia, Ukraine, Germany, China, Turkey, Romania, Hungary, and students from over 30 countries. Speaking and interacting with people has been extremely important to Former Justice Streit since he began his career as a lawyer, and then 28 years as an Iowa District Court Judge, Iowa Court of Appeals Justice and Iowa Supreme Court Justice. Nothing gave him more pleasure than the many classes of young students who visited the courtroom to learn about the judicial system, as he shared stories while making it fun for them to learn. He continually enjoys presenting to a diversity of groups from law school students to attorneys, from Rotary Clubs to trade associations, and many more. He has also taught Iowa contract law in the bar review school for new lawyers taking the bar exam for 15 years.